There is no question. 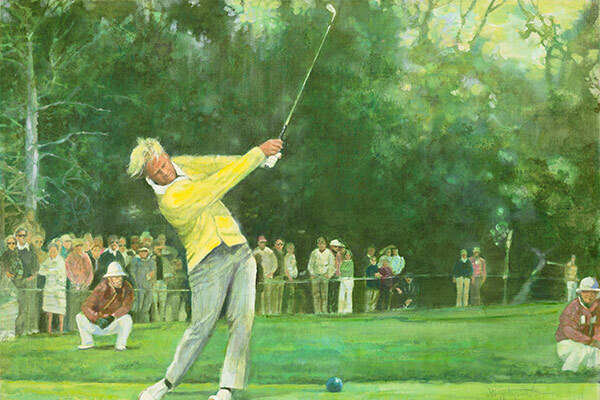 Jack Nicklaus - the man, the golfer, the course designer and the game’s preeminent ambassador - wrote one of the great chapters in golf. Those who follow, walk in his footsteps. 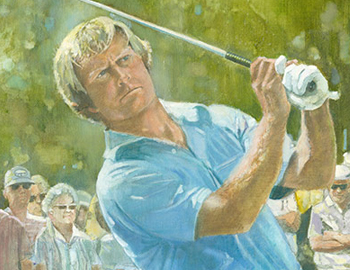 Jack played the game with honesty, integrity, sportsmanship and passion. 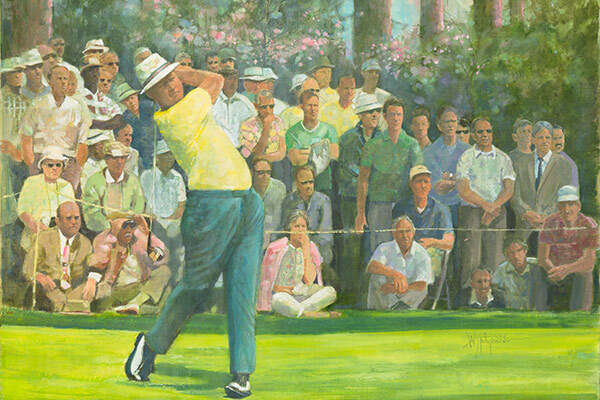 The mileposts in his career are the 18 major wins. 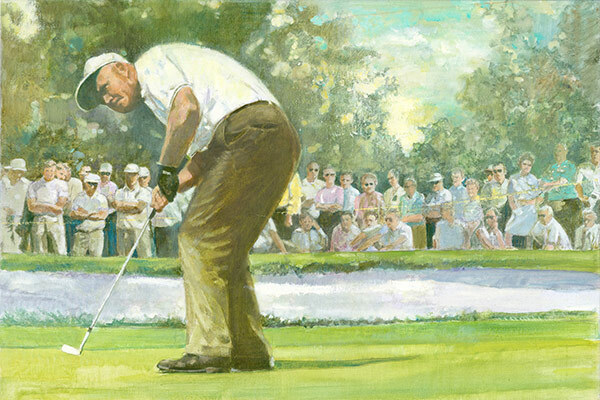 It is how all of the greats are measured. 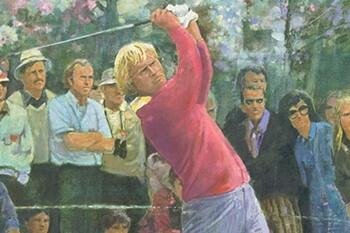 Every major championship had its moment when the victory was secured or the impossible shot was made. These moments were always emotional and visually stunning. You had seen something you wished to never forget. 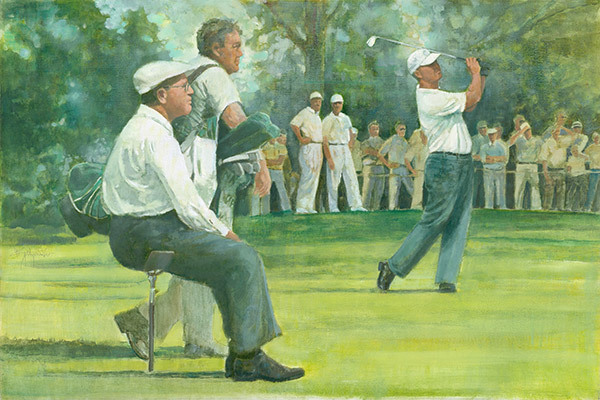 In 2005, Walt Spitzmiller, a storyteller in the medium of paint on canvas, suggested to Jack that "now" might be the right time to tell the story of his major wins. 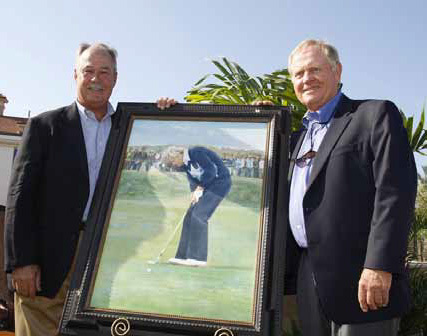 Jack agreed and an eight-year collaboration between these two distinguished artists followed. 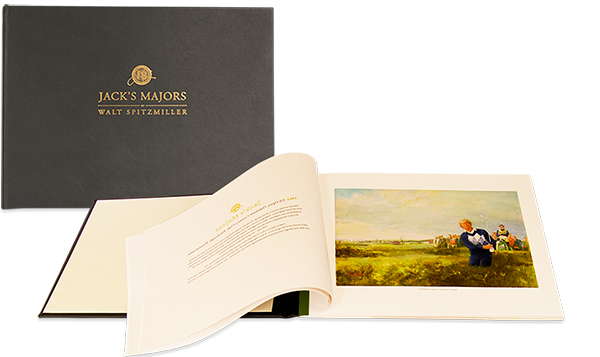 The collection titled, Jack’s Majors, is complete. Both the full portfolio and the individual prints are strictly limited editions. 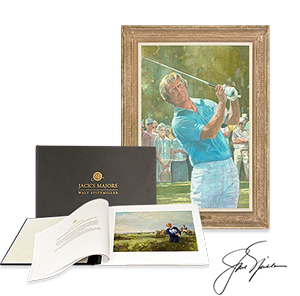 The portfolios are certified and signed by both Jack Nicklaus and Walt Spitzmiller and carry a hologram certifying they are authentic Jack Nicklaus licensed images. 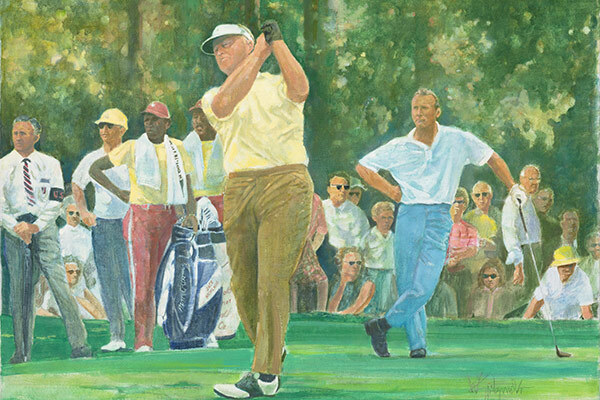 The individual prints are signed & numbered by Walt Spitzmiller. The value of this extraordinary collection is certain to increase over time. 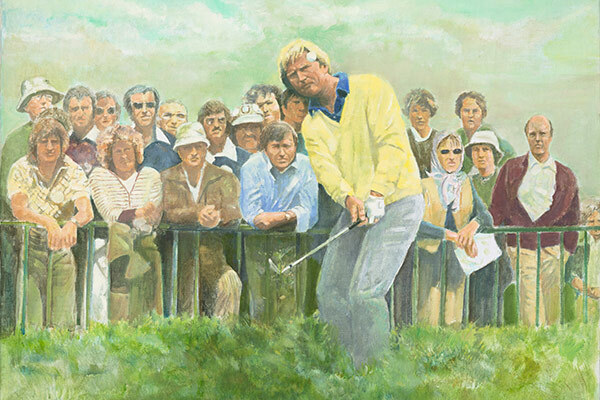 If you have a passion for golf and wish to share some of the greatest moments of the game with your friends and family, join us for a memorable walk down those historic fairways with Jack Nicklaus and Walt Spitzmiller. See the prints available for purchase below and select the one in which you have an interest for more details. 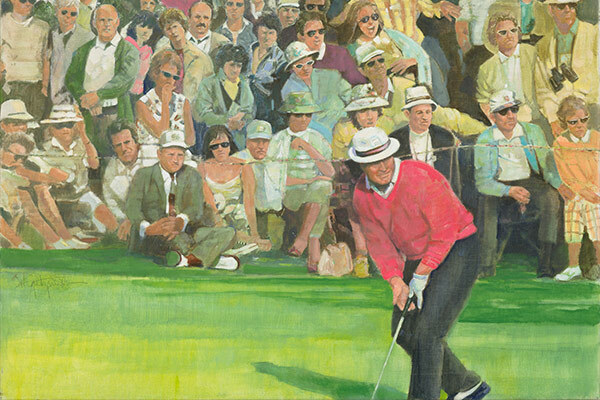 The Portfolio offers 18 giclee prints covering all 18 major wins. Select the picture of the portfolio below for more details. 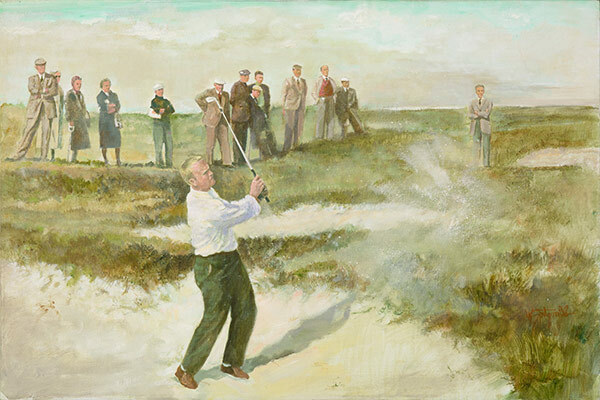 If you would like to own one of the original oil paintings, Walt Spitzmiller would be happy to discuss availability, your selection and the current market price. Serious inquiries only please. Please complete the Contact Us form. 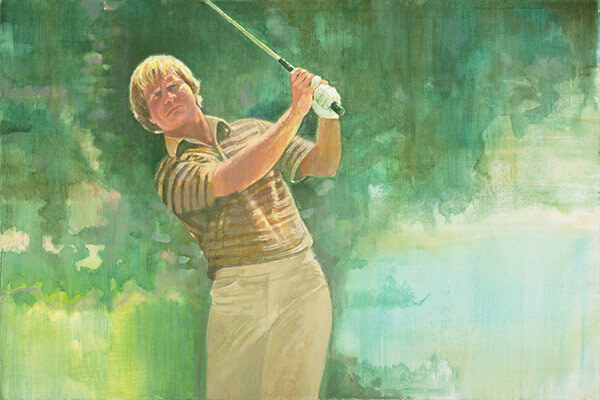 Each giclee print is made from the original oil painting. 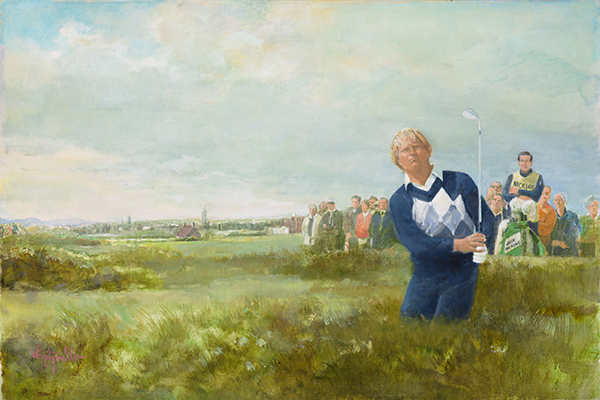 Strict limited edition of 100 for each of Jack Nicklaus’ major wins. Sorry we cannot provide specific numbers from within each edition. 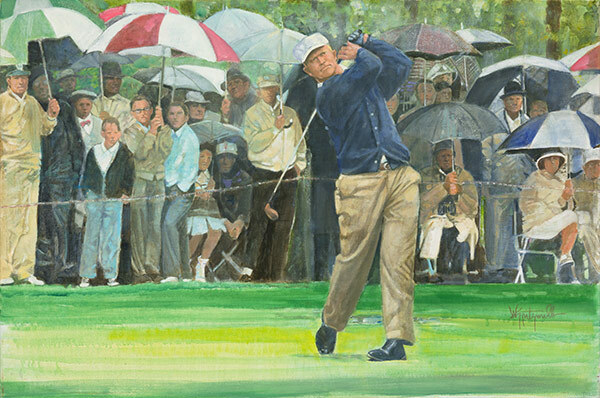 Prints are released in order of purchase from 1 to 100. 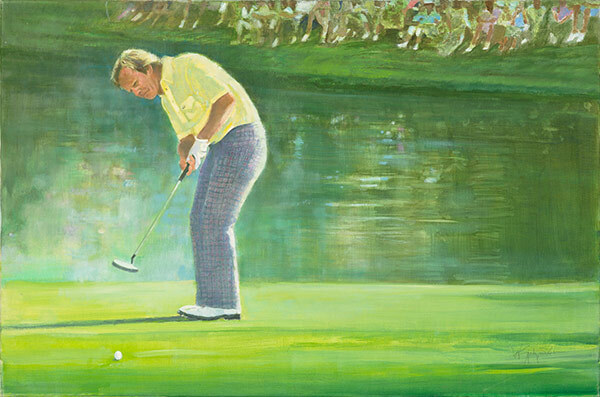 Each giclee is authenticated with the Jack Nicklaus hologram and are personally signed and authenticated by Walt Spitzmiller. 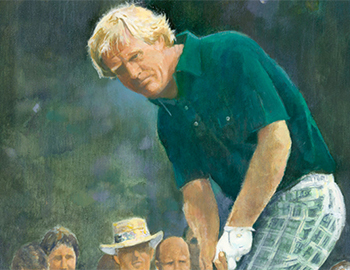 A separate certificate of authenticity accompanies each print. 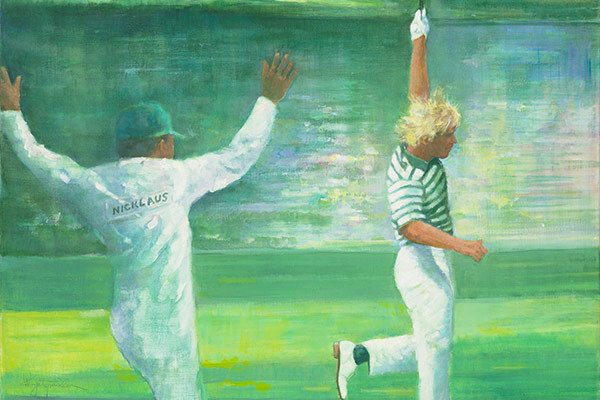 Each giclee is printed on heavy duty acid free museum quality archival water color paper and ships unframed and unmatted to the buyer in a heavy duty outer shipping carton. 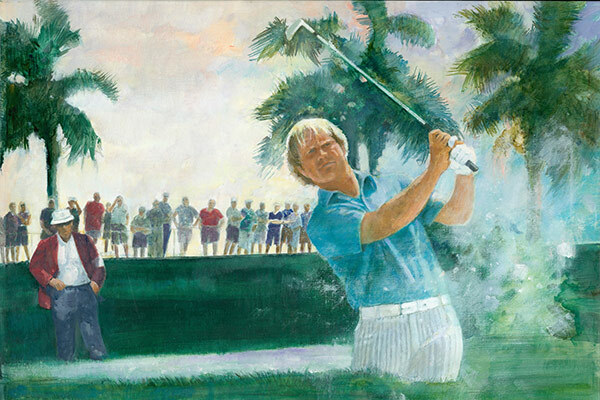 Matting and framing are left to the buyer’s taste and choice. All prints ship insured. Shipments to home or business addresses only where receipt of shipment can be acknowledged by signature. Foreign shipments additional, all customs fees and sales taxes are the responsibility of the buyer. For additional information on foriegn shipping, please use our Contact Us form. 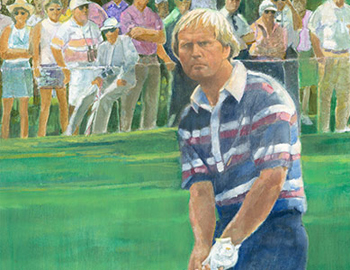 1986 MASTERS - DO YOU BELIEVE IN MAGIC?